The Loggerhead Shrike (Lanius ludovicianus) is a permanent resident of the Texas Gulf Coastal Prairies with local breeding populations joined by migratory northern birds during the winter. Although the global population of Loggerhead Shrike is estimated at 4.2 million, the Partners in Flight North American Landbird Conservation Plan shows steep population declines similar to other grassland bird species. 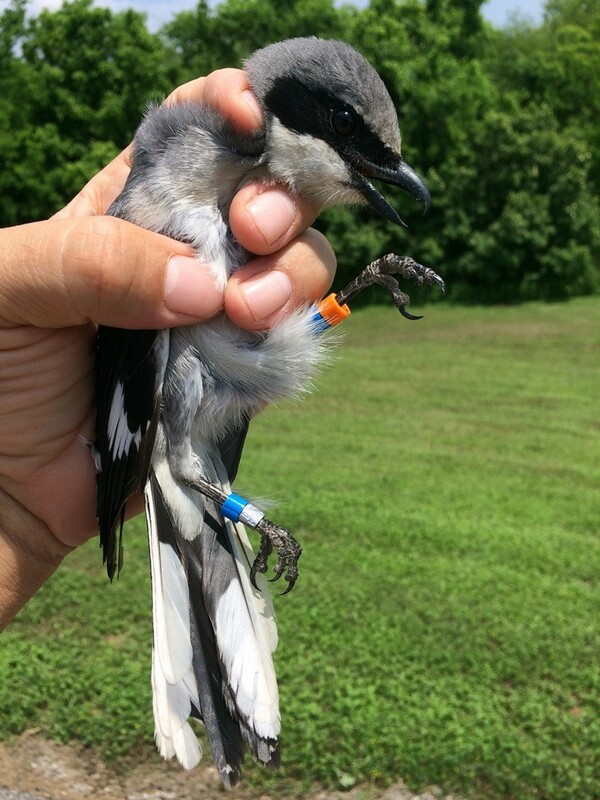 Because of the population declines, the Loggerhead Shrike is a species of concern in the Partners in Flight (PIF) Gulf Coastal Prairie Bird Conservation Plan authored by the Gulf Coast Joint Venture (GCJV) and the Gulf Coast Bird Observatory (GCBO). Possible reasons for shrike population declines are numerous, but most can be linked to habitat change or loss. The actual process of the declines remains poorly understood, but evidence suggests loss of habitat in both the breeding and winter ranges is the most important factor. Changes in farming practices including cleaner farming and larger fields has resulted in the removal of shrike hunting perches which appears to be a significant contributor to population declines in some areas. On the Texas Gulf Coast, resident shrikes appear to defend the best quality habitat throughout the year, which may reduce the availability of optimal habitat for wintering migratory shrikes. In addition, expanding residential and commercial development has eliminated large areas of natural habitat. One aspect that we are very interested in pursuing at GCBO is to determine the patterns of use of urban vs non-urban landscapes among the migrant shrikes and whether they overlap significantly with resident birds. 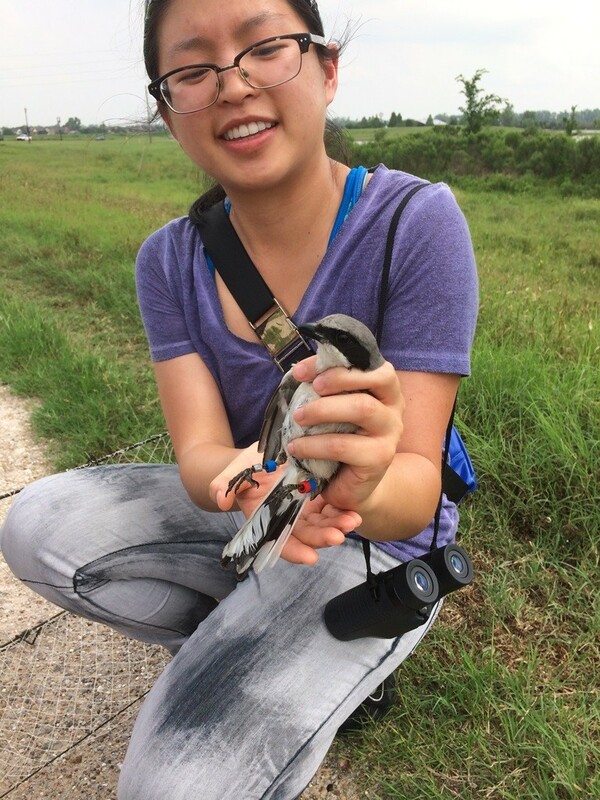 Loggerhead Shrikes appear to colonize and utilize urban and suburban landscapes in several areas of Texas though the habitat parameters associated with this are not well defined or studied. Loggerhead Shrikes inhabit grasslands and other sparsely vegetated habitats where scattered woody vegetation and other substrates provide perch sites for foraging. Many urban landscapes, such as parks, cemeteries and university campuses provide short sparse vegetation, a variety of perches, and nesting cover that shrikes appear to use as suitable nesting territories. The increased use of suburban and urban areas may be a result of habitat loss but this has not been confirmed. While shrikes appear to be attracted to urban park-style landscapes, their reproductive output relative to shrikes in non-urban environments has received little attention and has not been adequately studied. Most bird species are attracted to urban areas, however birds nesting in urbanized areas may be exposed to potential threats including increased predation by animals associated with humans and increased disturbance to foraging, nesting and chick rearing due to human activity. GCBO has initiated a pilot study to investigate Loggerhead Shrike use of urban environments near our sanctuary in Lake Jackson. 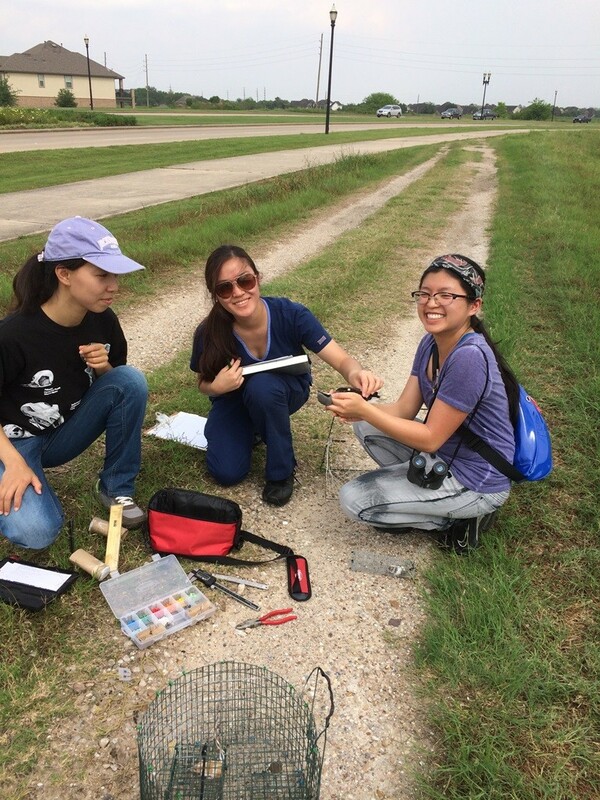 We have also initiated surveys of urban parks and campuses in Houston and Sugarland, thanks to the help of students Kristy Yu and Katrina Luu from the University of Houston and GCBO research associate Dr. Lijin Zeng. We are gearing up for continued work on this initiative this coming spring where we are planning on trapping and uniquely color banding shrikes so that we may follow their habitat use patterns and evaluate their productivity in different areas.